An Arkansas native, Dr. Johnson grew up in Searcy. He holds a Bachelor of Science from the University of Arkansas-Fayetteville, and obtained his Doctorate of Dental Surgery from the University of Tennessee Health Science Center. After graduating from dental school, Dr. Johnson was accepted to the Oral and Maxillofacial Surgery Program at the University of Texas Medical Branch-Galveston. He is the recipient of the Governor’s Award for Outstand All-Around Dental Student and the Silver Scalpel Award for excellence in surgery. 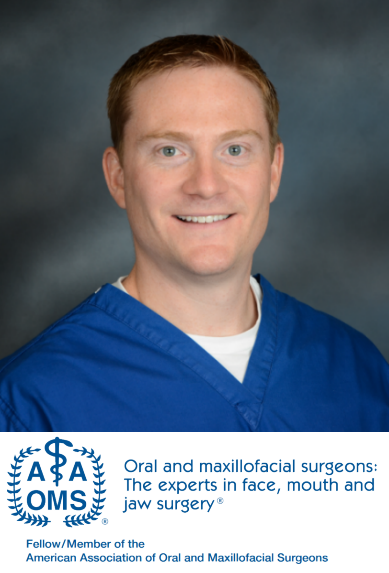 Dr. Johnson, a current diplomate of the Board of Oral and Maxillofacial Surgeons, practices the full scope of Oral and Maxillofacial Surgery with a clinical emphasis on dental implants, facial trauma, oral pathology, and wisdom teeth removal with deep sedation/general anesthesia. 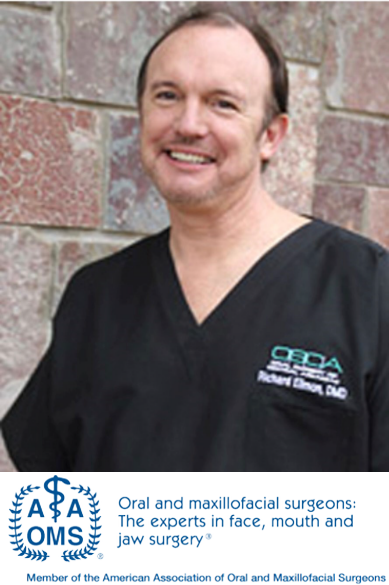 As a practicing Oral and Maxillofacial Surgeon, he is a member of the American Association of Oral and Maxillofacial Surgeons, the American Dental Association, the Arkansas State Dental Association (ASDA), and the Central District Dental Society. He is also active with the ASDA New Dentist Committee. For the past 10 years, Dr. Johnson has enjoyed being involved with various medical/dental missions both in his local community and internationally. He provides surgical services for River City Ministries in North Little Rock, a non-profit service organization providing humanitarian dental services. Dr. Johnson performs surgical cases at the Baptist Medical Centers in North Little Rock – Springhill and Conway, as well as Conway Regional Hospital. Family and church life are very important to Dr. Johnson. He currently resides in Conway with his wife, Megan, and their three children, Sarah Margaret, Jonah, and Jack. They enjoy fishing, hunting, hiking, and all water sports in the Natural State. Dr. Elimon has had a successful practice of Oral Surgery in the Central Arkansas area since 1984. He received his Doctor of Dental Medicine degree from Southern Illinois School of Dental Medicine, followed by a one year internship at the University of Tennessee Research Hospital. He then completed his oral and maxillofacial surgery residency at Emory University in Atlanta, GA. Dr. Elimon has hospital association with the Baptist Medical Center of North Little Rock. Dr. Elimon resides in North Little Rock with his wife and has two grown children pursuing counseling and teaching. Dr. Elimon and his wife are active members at their church. For the past 20 years he has been associated with and given significant time to various dental mission trips and dental surgical services both locally and internationally. He regularly provides surgical services for River City Ministries in North Little Rock, a non-profit service organization providing humanitarian dental services, and in Belize as part of an ongoing Medical-Dental Team. Dr. Elimon is known for his compassionate and informative care in providing for the surgical and anesthesia needs of his patients.